Each year we have the honour and privilege to test many products. The absolute highlights of these go into our annual Christmas Gift Guide. We personally recommend each of the products we list in this guide and wouldn’t list them if we are not happy to use them ourselves. We hope you enjoy this years list, we think it is the best yet. The Neato Connected has become one of the most regularly used household appliances in our home. We do prize ourselves as having a smart home however the Botvac is so intelligent itself that it requires very little knowledge of how it works. You can simply let it get on with its business and you get on with yours. The basics of how the device works is that it has a laser built into the top of the robot. When your Neato leaves its home base (where it lives and charges) on one of its missions (whether manually told to start or scheduled via the timer) it scans the room with the laser, identifying any big obstacles and the general shape of the room. It then sets out to clean the room systematically. It then moves onto other rooms if you leave the doors open. A whole apartment cleaned in one go….amazing! The Neato is a little genius when it comes to avoiding smaller obstacles too such as cat food bowls or shoes, or even you! It simply adjusts its course. Constantly baking means that the kitchen is continuously being subjected to a bombardment of kitchen debris but the Neato has been an amazing help in the kitchen, completely eliminating crumbs or other kitchen debris which results in baking or even cooking. Whether the debris is sugar, oats, flour or just general crumbs the Neato has no trouble at all in lifting these. The spinning brush on the side of the Neato works wonders at pulling any debris away from the wall or kitchen kickboards and into the path of the brush blades and vacuum. The vacuum power of this robot is something I would like to particularly mention as some people have commented upon seeing the Neato that it may just be a novelty or a toy but we can assure you this is not the case. The Neato has not struggled with lifting anything we have put in its path. It has found debris in our carpet that even our big brand name standup vacuum didn’t lift. This amazes us! The Neato is worth every penny of its price in our opinion. Another great point is that you can update the software of the Neato when it becomes available by connecting it to a PC. You’ll soon grow to love your Neato’s personality and you’ll soon find a name for it too. Ours is called ‘Crumbs’. What will you call yours? You can purchase a Neato from numerous suppliers in the UK, you can find the list on their website. Prices around £549.99. 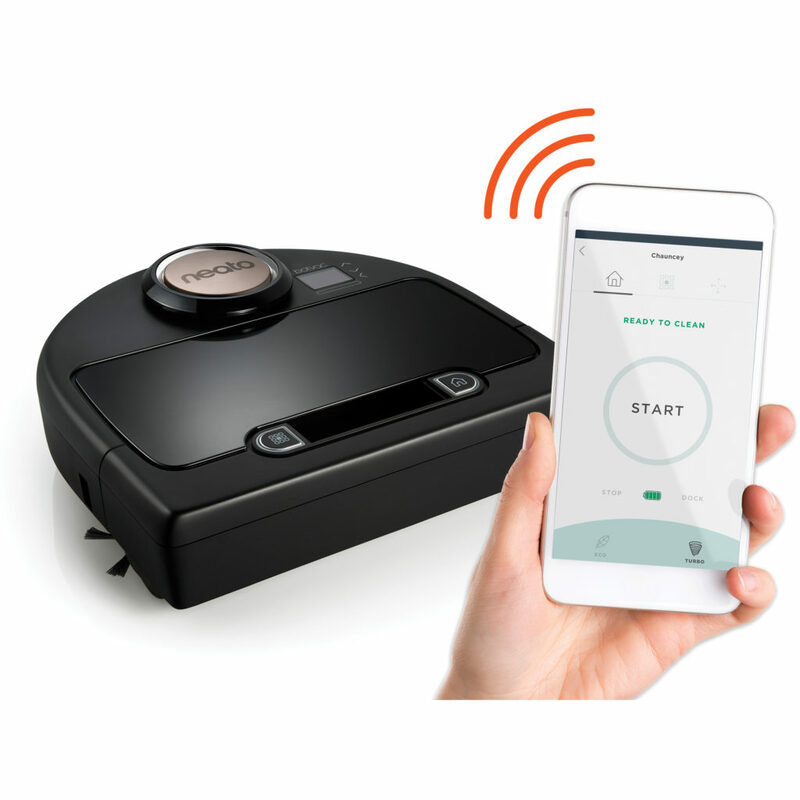 This is the first wifi-enabled robot vacuum which can be operated from your Apple or Android smartphone, using an easy to use mobile app to start, stop, schedule and monitor the vacuuming run. 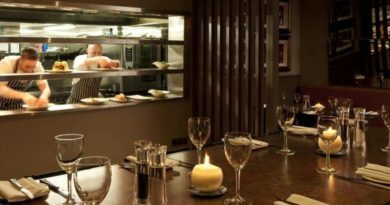 If your gift recipient is a budding chef, or even an amateur one at that, look no further than Sage Appliances by Heston Blumenthal. Heston’s team put huge amounts of design and thought into each appliance which they create. Every aspect of its design is taken into consideration including common complaints or criticisms from other branded appliances. This in turn creates appliances which should be almost perfect. And we think they are. 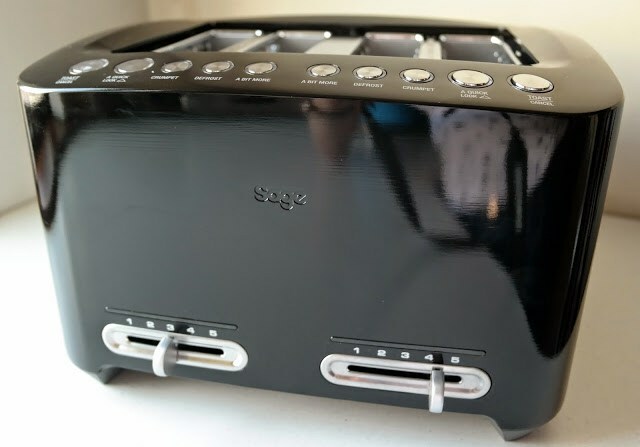 We use the Sage Appliances Scraper Mixer Pro in all our recipes and we also own a Sage Appliances Smart Toast which we featured in our 2014 Christmas Gift Guide. We also featured the Sage Appliances Smart Fryer in last years Christmas Gift Guide. So you can see we are very fond of this brand ourselves. Everything is built with quality and utility in mind, as well as incredible design. This year we have decided not to feature a specific product but instead highlight all of these for you to make your own choices. 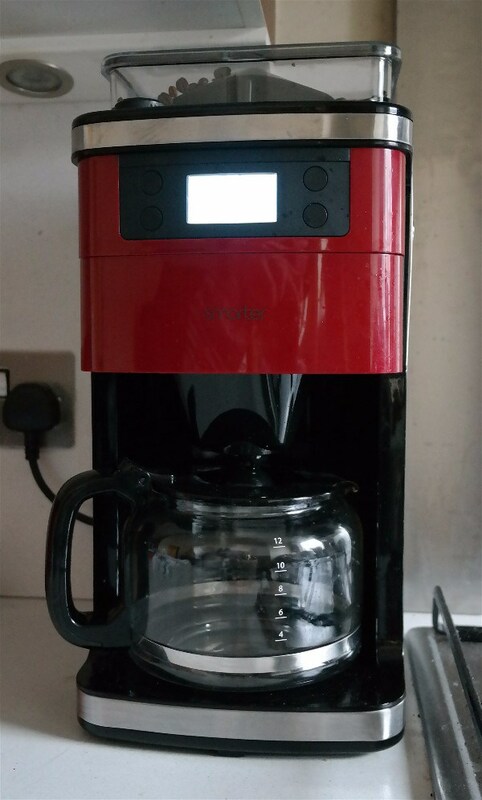 Earlier this year we reviewed the Smarter Wifi Coffee Machine. If you’re a regular reader of ours you will also know we also own a Smarter Wifi Kettle which we included in last years Christmas Gift Guide. We love kitchen tech so it’s always exciting to try out new products. We are privileged to own a Smarter Wifi Coffee Machine because it is an absolute pleasure to use. To be able to sit on the sofa and think ‘I’d love a cup of coffee!’ and be able to open an app on your phone and essentially order your coffee machine to start making you coffee is incredible.Just like the kettle impressed us months before, this coffee machine blew our minds. The smell of coffee already filtering through the house and I haven’t even left bed yet! What a time to be alive! The app allows you to ask the machine to start making up to 12 cups of coffee. The machine also includes a coffee beans container and grinder. So not only is your coffee being made without you leaving your seat but it is being made with freshly ground beans! If your friends or family are missing one thing from their kitchen it is probably this. For a coffee lover this appliance will probably be one of the best they will ever receive. Sleep is so important to us, as it should be for everyone. Waking up in the morning feeling well rested is such a good feeling. But it really shouldn’t be a rare one. It should happen every day. I suffered from a lot of sleepless nights with a mixture of allergies and back pain. 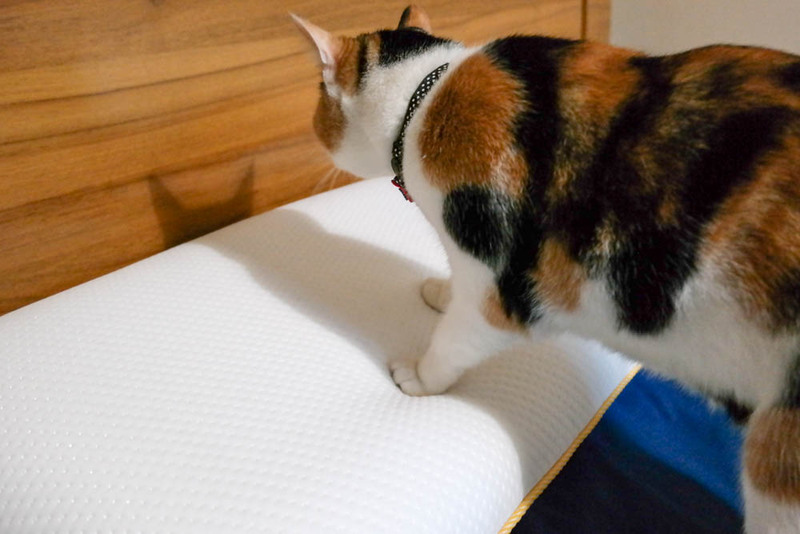 Earlier this year I discovered EVE Pillows after seeing advertisements for the EVE Mattress online. A new mattress is a big commitment so I though the best thing to get an idea of the quality and comfort was to their their newly launched pillows. This is a brilliantly comfortable pillow made with premium memory foam. More supportive than feather or fibre pillows, with added benefits for circulation and muscle alignment. We’re a huge fan of memory foam as it adapts to all of our individual shapes, sizes and weights meaning that we’re all supported just as we need to be. Nothing starts the day better than waking up after a good nights sleep. We’re huge believers in how vital sleep is in our busy lives. The durable jersey fabric we used to make the cover is soft to the touch and satisfyingly stretchy. The fabric is knitted, rather than woven, giving it that lovely elasticity – like the material of your favourite t-shirt. 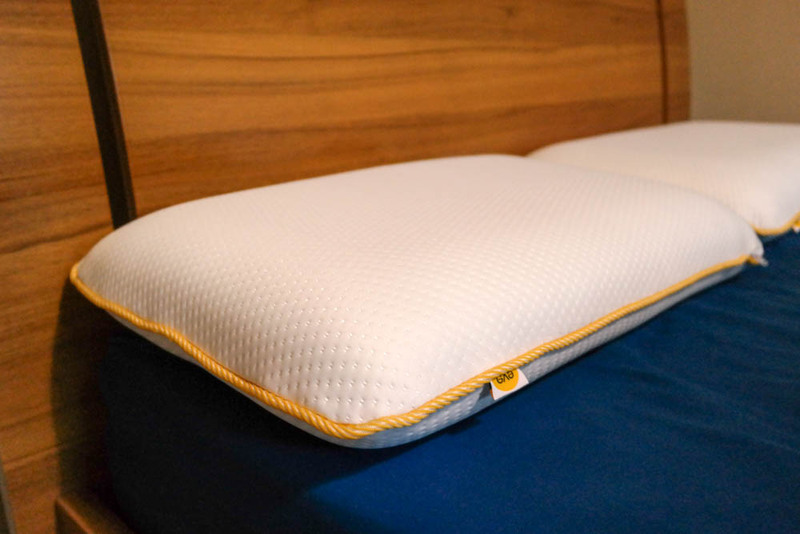 The pillow’s core is made of responsive next-generation memory foam, which contours perfectly to relieve pressure points and boost circulation while you sleep. The core is hypoallergenic and it also benefits from an UltraFresh treatment, which fights off bacteria, mould and mildew – to keep the pillow fresh for longer. This is very important to me as I have dust allergies so most pillows need to be thrown away after a period of time. This won’t happen with the Eve pillow so I know I will both be able to enjoy and use the Eve pillow for many years to come. 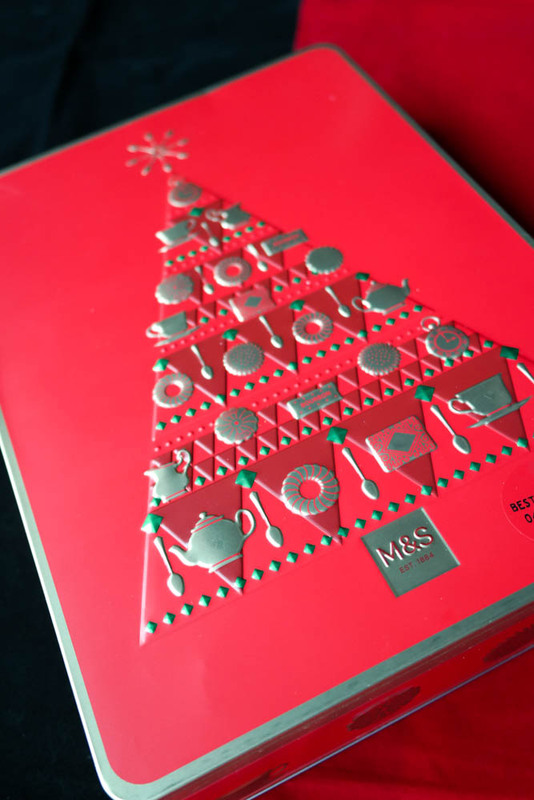 Marks & Spencers never fail to come up with great gifts at Christmas and this year has been no exception. We chose these items to feature in our Christmas gift guide as they are such wonderfully presented treats that the recipient will be guaranteed to want to keep it! There is always a selection of Christmas themed tins. 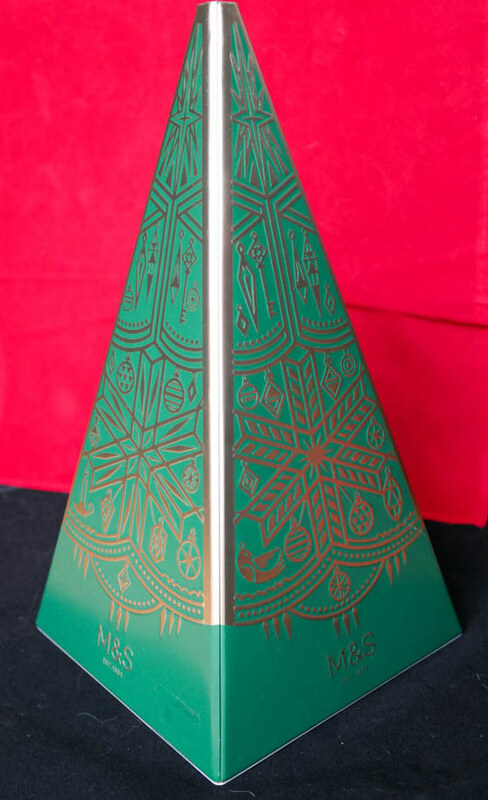 This year you’ll find a beautiful Art Deco inspired Christmas Musical Tin filled with all butter shortbread. I love these tins as they can be kept for years and brought out each Christmas. Marks and Spencer repeatedly use British iconic themed in their tins and this is what makes the tins themselves iconic. 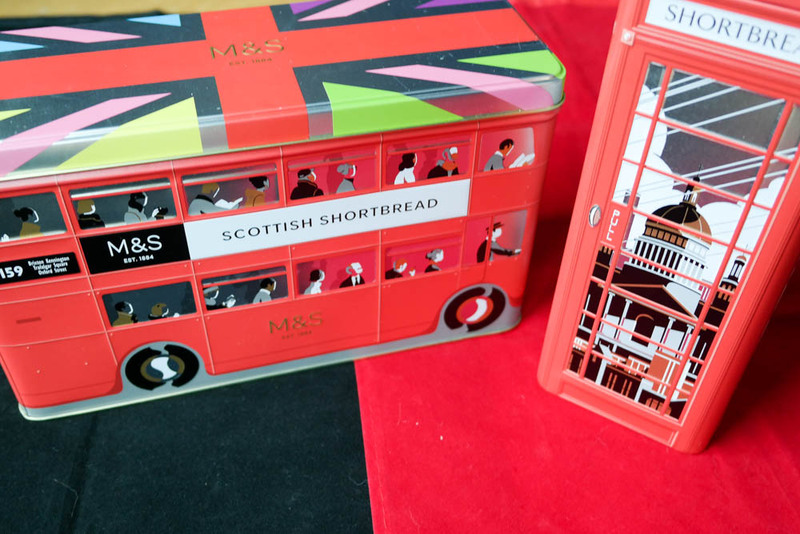 This year you’ll also find a wonderful British red phone box tin filled with shortbread and in a similar design you’ll find a large London Red Bus tin filled with Scottish shortbread. 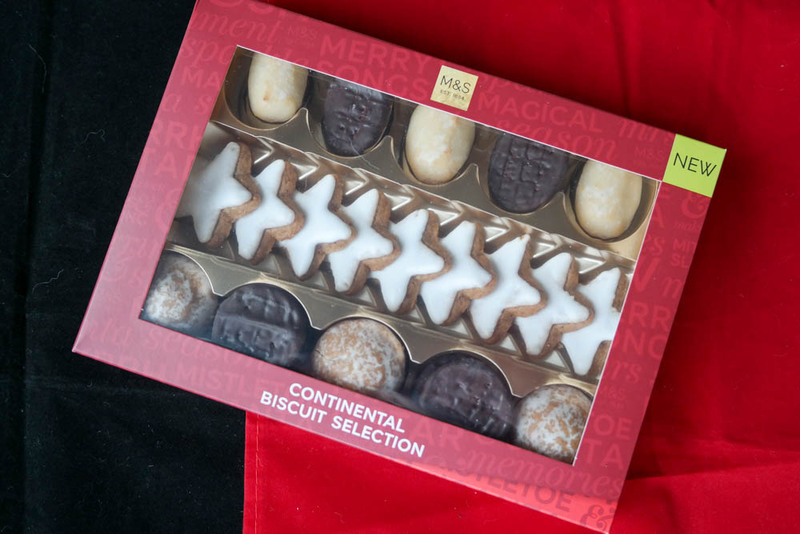 We also spotted the new Continental Biscuit Selection which comes beautifully presented in a small red box. Christmas in our house wouldn’t be complete without one of the boxes of Marks and Spencer’s Milk, Dark and White Chocolate Biscuit Selection boxes. 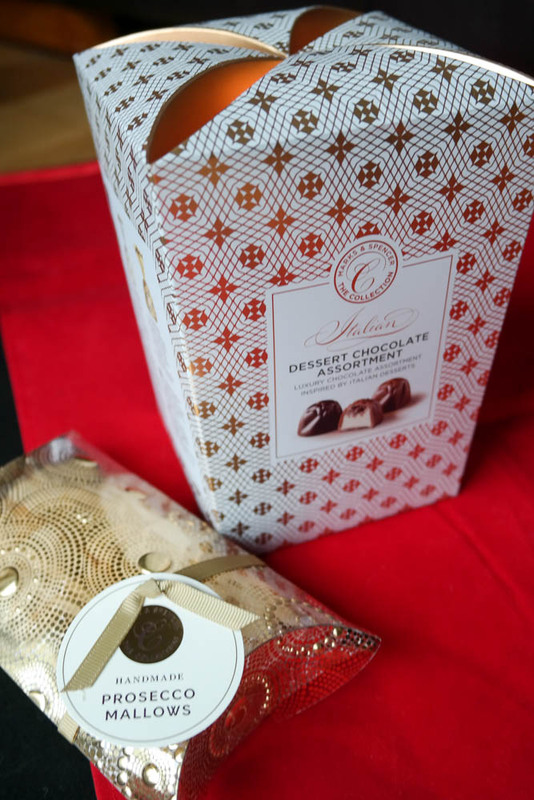 Another new item we spotted this year is the Italian Dessert Chocolate Assortment which is a chocolate selection inspired by traditional Italian desserts. These come individually wrapped in a beautiful presentation box. If you’re after something small and glitzy then we love the Handmade Prosecco Mallows! Introducing you to one of our favourite air circulator brands, Vornado. 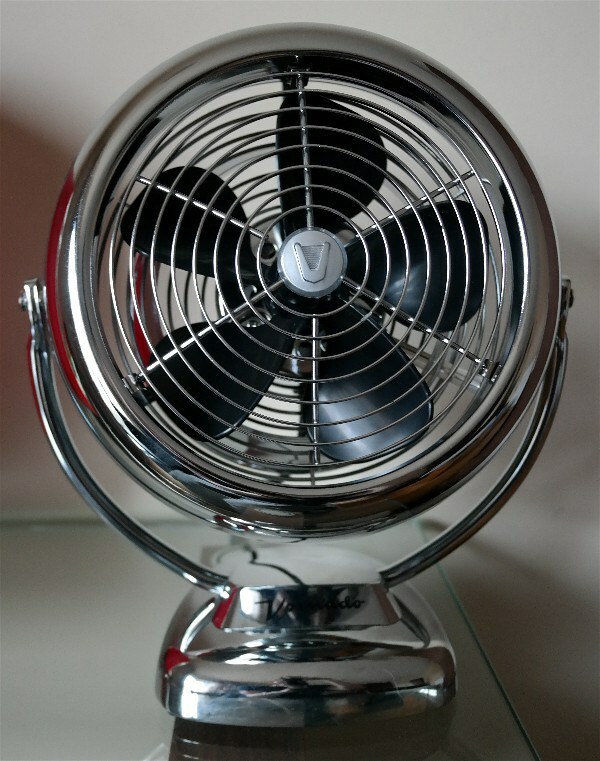 The forerunner of the Vornado company which produced the first VFANS was established in 1945 in the USA and has grown ever since. Their iconic design fans are well known worldwide. We were lucky to get the chance to try ‘the fan that started it all’, inspired directly from the original Vornado Fan design, the VFAN. A wonderful retro piece that will fit into any home no matter how it is furnished. The fan uses unique technology and design to provide you with the very best air circulation in your home. We reviewed the Vornado earlier in the year when it became an essential bit of kit in our home over the warm summer months. Even during the winter we use it regularly to keep the air circulated. Elgato have huge amounts of experience in technology products and in recent years expanded into Smart Home technology too. One of Elgato’s main ranges is Eve. Eve is a selection of smart accessories that work together to help you gain important insights about your home and turn it into an overall pretty smart home. The Eve family includes the indoor sensor Eve Room which monitors the room’s temperature, humidity and even air quality– so you always know when it’s time to let some fresh air in. Eve Weather, which you place outside monitors the temperature, humidity and air pressure. 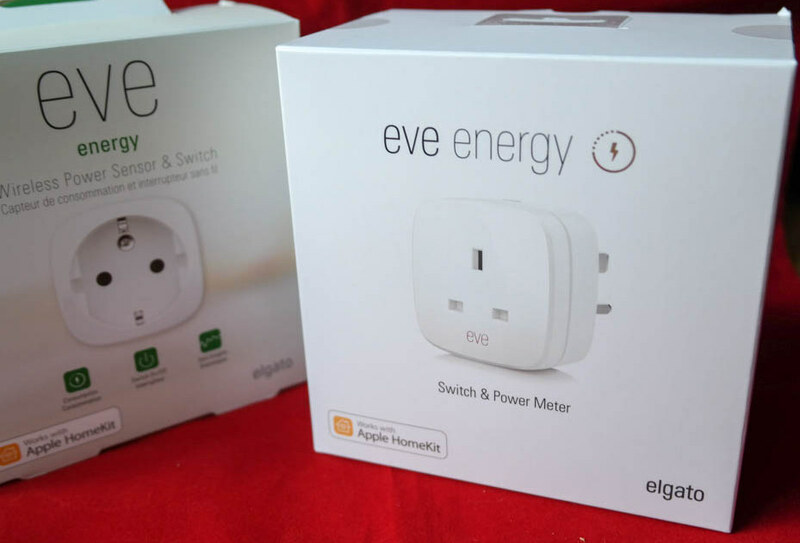 Eve Energy is a smart plug that you can control from your iPhone using Siri, and it also records the energy consumption of the device that’s plugged into it. And finally Eve Door & Window, which tracks when doors or windows in your home are open or closed and for how long. The best part of all this wonderful technology is that it all connects to your iPhone and iPad and reports all the statistics back. Elgato’s Eve range also allows you to track in near real-time the details of your home environment as well as look back and compare to last week, last month etc. We find this hugely exciting. So many people live in poor air quality areas but are unaware of this, although this can be so easily fixed with dehumidifiers and air purifiers etc. And what’s best: All the Eve devices work with Apple HomeKit technology, so you can control them with Siri and share all the information and statistics via iCloud to your devices. Not only is it hugely functional and interesting but it also looks great. Its design is sleek and modern, blending in with all surroundings. 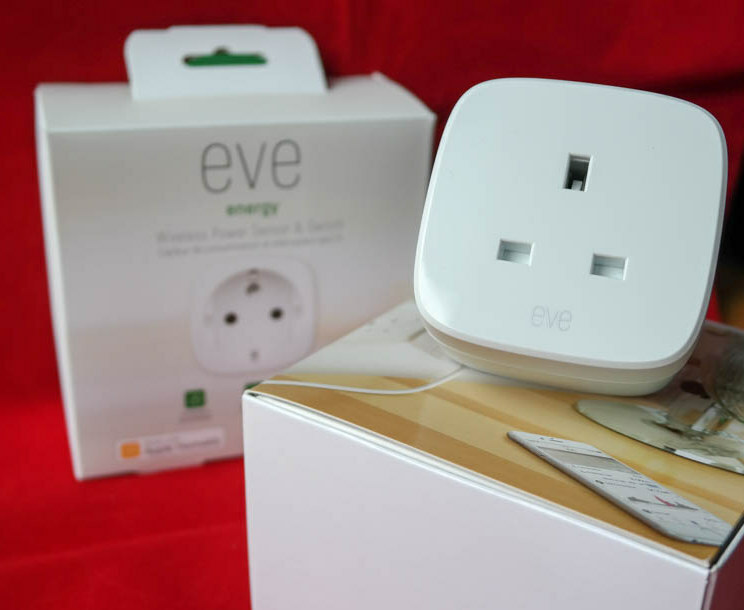 We’re extremely excited to find that Eve Energy have launched their UK plug! So all of us in the UK can now enjoy the convenience of smart plugs in our home. Use the new Apple Home Kit to set up rules in your house. Such as turning the plugs on when you arrive home or turning them off when you go to bed, all from your phone. The Works is your one stop shop for all stationery and craft supplies. They also have one of the best Christmas Shops we’ve seen this year. You can buy everything you need from wrapping paper to the gifts themselves. We love this Premium Gold Christmas Paper. We’re also hugely excited by the return of the popularity of vinyl’s and record players. There are some amazing retro looking record players now being released with a bundle of modern features to keep up with the times. 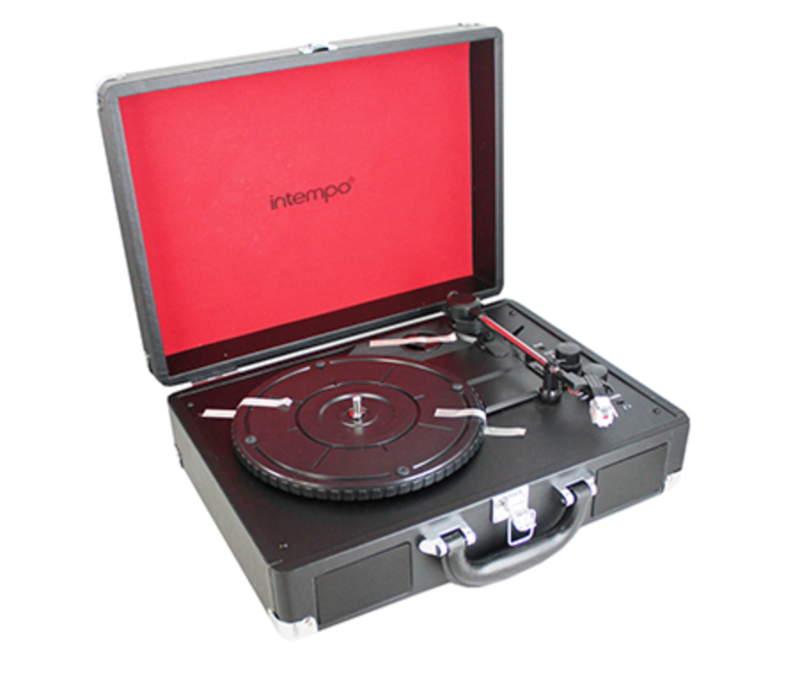 The Works have released the Black Intempo Record Player for only £60 this Christmas. This would make a wonderful gift for someone this year. Get those old vinyls out of the attic! There has also been a surge in the popularity of elves in the past couple of years. The Works sell their very own Behave Yourself Elf which is perfect to control children’s excitement (and behaviour) as Christmas approaches and Santa sends out his elves to check on children’s behaviour. We get sent at least 10 aprons a year. Most of them are all the traditional style with various different patterns. 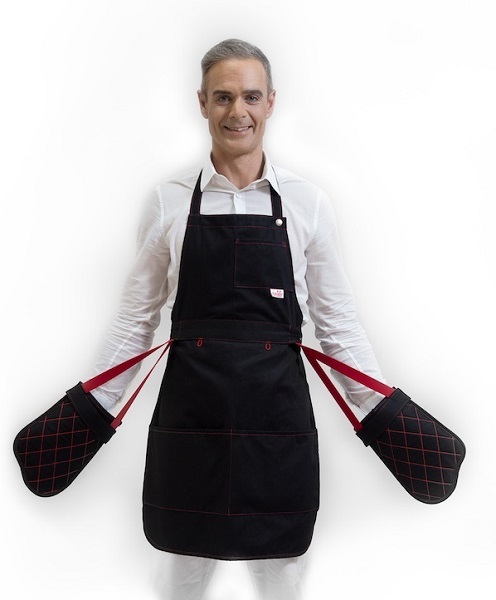 But we were excited and surprised to be introduced to Lobster Homeware’s new aprons. At Lobster Homeware they seek to innovate. They stand for quality and strive to produce beautiful products that people aspire to own. They are a family business and take great pride in their work. Their recently launched product is the remarkable Lobster Apron, innovation in design with fabulously inspiring prints. Packed with functionality an apron truly like no other. Integrated oven gloves; attach, detach, tuck them away or place them in the pockets. Wear it your way. Also height adjustable, tea towel loops and a pocket for your mobile phone. How many times have you turned around in your kitchen and misplaced the oven glove, or the tea towel is just out of reach when you really need it. This apron solves all these problems in our home. Even the fact there is a dedicated mobile phone pocket show the detail and thought which went into innovating this apron design. Too many times I have spilt something on my mobile phone just because I wasn’t able to easily put it in my pocket because of the apron. All these problems solved. Available in two great designs, the Bold Black and the The Lobster. Have you ever been out in the country, away from the city and been amazed at how you can see every star in the sky as clear as day. Or have you ever dined under the stars? Slept under the stars? We were amazed that you can now do all these things in your own home, or wherever you want. The Sega Star Theatre Planetarium is an amazing piece of tech kit. You will literally be in awe at what you see. 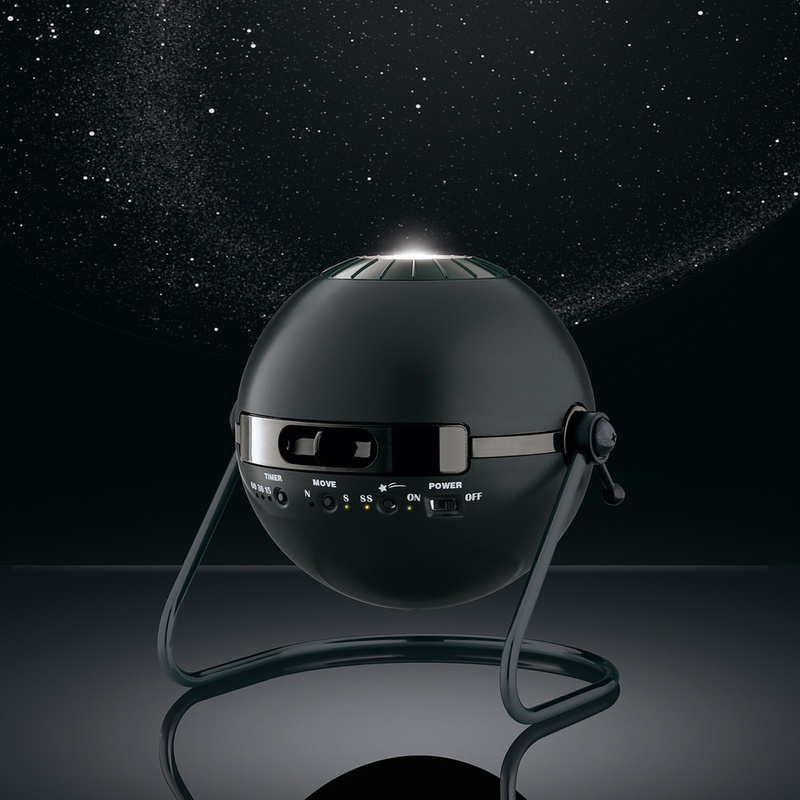 The Sega Star Theatre Planetarium projects the solar system onto your ceiling using laser technology. The device allows you to configure the display to your own needs. You can turn movement on and off, with the availability of North or South spinning. This moves the stars at a very slow relaxing speed as they move across the sky. There is a setting to turn on or off a shooting star which every 30 seconds or so sends a shooting star across the solar system on your ceiling. And one of the most important settings, the ability to activate a sleep function after 15, 30 or 60 minutes. I have came into the habit of letting the Star Theatre send me to sleep every night. Nothing is more relaxing. We also use ours in the dining room. Words cannot describe how incredible it is to have dinner by candle light under the stars in your own dining room. Try explaining that to your friends. In fact why not just show them. We see tons of stand mixers every single year all promising something different but all at quite extortionate prices. We know that most of us cannot afford to splash out on an expensive mixer especially when you’re only starting out or beginning to experiment with baking. One of the main messages which we continuously share is out passion to get as many people cooking in their own kitchens as possible. The Savisto Stand mixer is very competitively priced but with all the functions you need to cover your needs for many years. 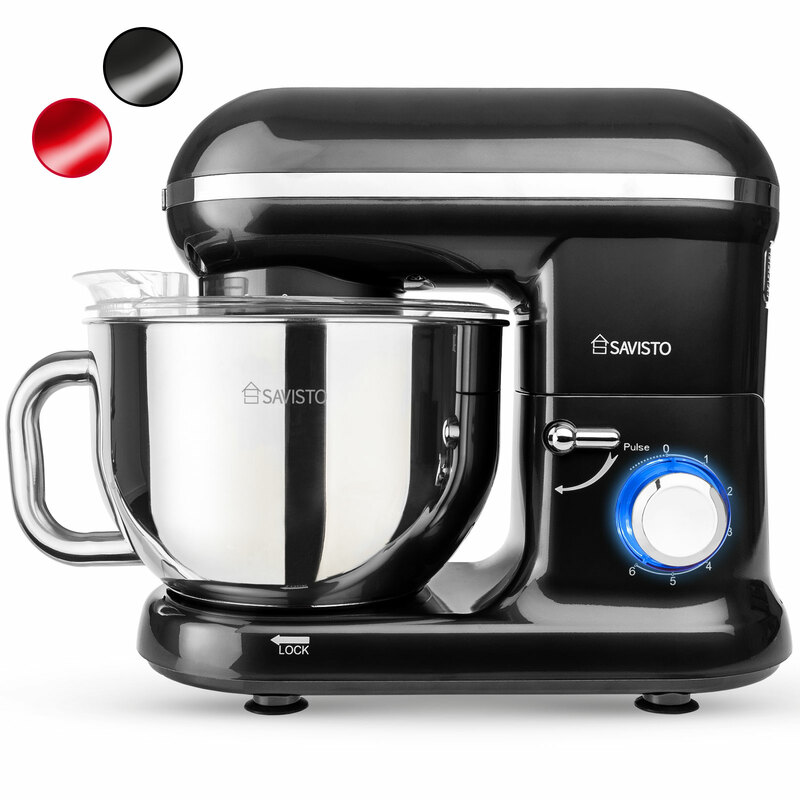 The 1260w Retro Stand Mixer comes with a 5.5 litre bowl, splash guard, dough hook, whisk and beater. Everything you could possibly need. It’s not all function either, it looks incredible too. The retro design is timeless and adds a splash of colour to any kitchen. With 6 different speed settings and a separate pulse setting this mixer makes any recipe a breeze. The stainless steel mixing bowl also locks in place to stop any accidents during mixing but is fully removable for cleaning and to allow you to pour batter without making a mess. If you have a budding chef in your life or are starting out yourself this is the perfect kitchen Christmas gift. T.G Green and Co., makers of the finest Cornishware first began producing the iconic blue and white banded Cornishware in the 1920’s and the business and grown steadily since then with the design being more desirable than ever in kitchens and homes across the country. In recent years they decided to expand into other ranges of colour still maintaining the same iconic design. We love the sturdiness of these mugs. We use them every single day in our own home and highly recommend them for either a Christmas gift or for a treat for yourself. We own the traditional Blue and White, Red and White and most recently the Black and White mugs. All colours are striking and always appear modern, yet sympathetic to their traditional design. If mugs aren’t your thing they make a huge array of different kitchenware or accessories from mixing bowls, teapots, plates to dog bowls. This year we have decided to feature their amazing Set of Tea, Coffee and Sugar Storage Jars. These look great sitting on the worktop of any kitchen. 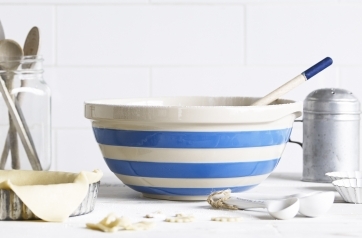 If you’ve got the baking bug after watching The Great British Bake Off you might be in the market for a new mixing bowl. Nothing beats a real mixing bowl opposed to a plastic one. Cornishware have a lovely new range of Mixing Bowls to choose from in the traditional patterns. We are huge fans of Orwell and Goode. Mrs Orwell (Zuzana) and Mrs Goode (Bronagh) met in 2008 when Mrs Orwell taught Mrs Goode how to silk screen print. They became great friends and while on holiday in Ireland together late 2010, they had the idea for ‘Orwell and Goode’. Liking how it sounded like “all well and good”! With only a few months to create everything they launched at their first trade show in April 2011, Orwell and Goode has grown from strength to strength ever since. But there has been a little more to the story they had been keeping a secret for the first two years of business, Mrs. Goode was also in the Royal Air Force working as a mechanical engineer on Tornado aircraft in Lossiemouth, Moray . Both ladies were working the business every spare hour they had. During these first difficult 2yrs, Mrs.Orwell had her first baby and Mrs.Goode served a 4mth tour in Afghanistan (overlapping the birth of little Hamish!). We absolutly love the subtle tie in of the RAF in this series of prints, something which is very dear to my heart. This wonderful series comprises of Chasing Chicks, Hunter Fox and Royal Air Fox. If you or someone you love has a blank space on your wall we can think of no better prints to fill that space. 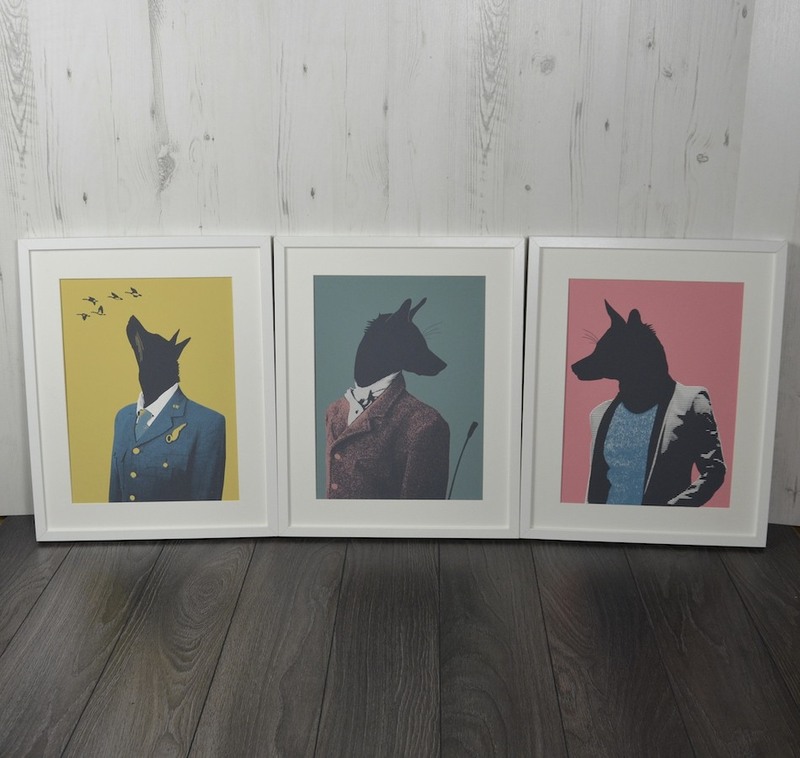 Orwell and Goode have a delightful selection of quirky prints available, as well as textiles, wallpaper and lampshades. These are two ladies to watch! With more and more of us turning to following recipes on our tablets in the kitchen instead of recipe books we are constantly coming up agains the challenge of getting our tablet screens filthy. We came across UDOQ Charging Station earlier in the year as a new tech company which had come up with a solution which was not only attractive but extremely functional. Designed for use anywhere in the home, but we think it is of particular use in the kitchen. The UDOQ is a charging station which keeps design and utility central and keeps wires hidden. The UDOQ is completely customisable upon ordering so you can get it as small or large as you need. 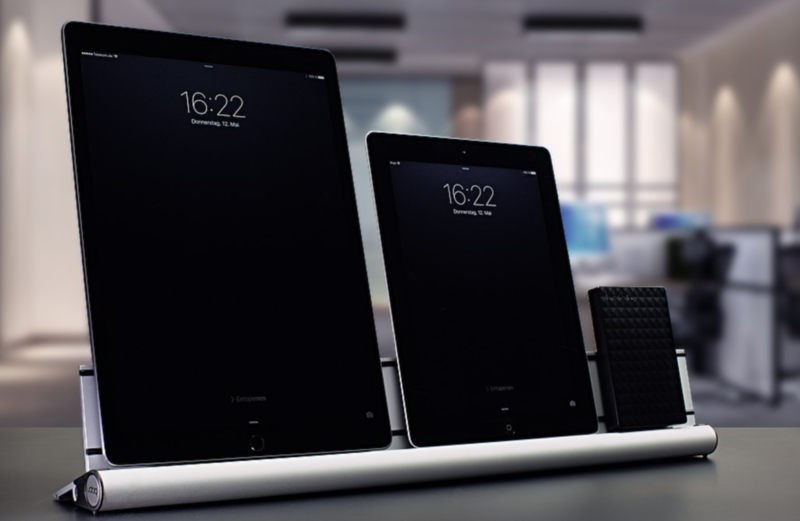 The longer the dock the more devices you can have on it at any one time. The UDOQ has many different compatible charing attachments available so you can customise it for whatever device you own. Your tablet will sit in place on the dock, safe from any kitchen mess and with the huge added benefit of charing the device at the same time. How many times have you been mid-recipe when your tablet battery has died. We know we’ve been there! Know someone who likes to Juice? Stellar have just unveiled their new Slow Juicer. If you struggle to get your 5-a-day into your diet fresh fruit juice can be a huge benefit. Not only is it absolutly delicious but its good for you too. If you want to get the maximum nutrients out of your fruit juice then cold press juicing is the way to go. So whats the difference? By cold press juicing you are using the juicer to gently press the juice out of the fruit. This means that juice is extracted with minimum oxidation, meaning that it lasts longer and contains more nutrients and enzymes. 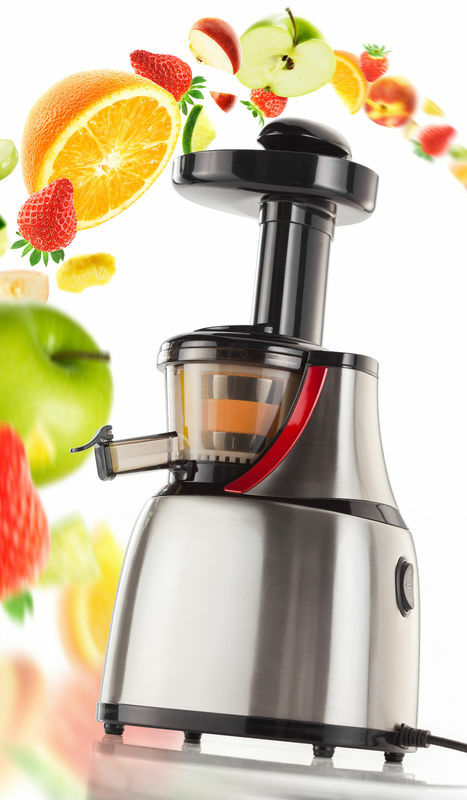 Using stainless steel micro filters, the Stellar Slow Juicer ensures that drinks are perfectly smooth, while providing far superior juice extraction when compared against traditional centrifugal juicers. It has a powerful, yet quiet, motor capable of 18Nm of torque enabling it to work efficiently, and despite the name, it can produce tasty juice in a matter of minutes. With a smart drip-prevention cap and separate jug for dry pulp, the Stellar Slow Juicer is mess-free, while the device itself has been designed for easy cleaning – just pour water through the system between uses. A bespoke scrubbing brush has been provided for any tough adhesions. 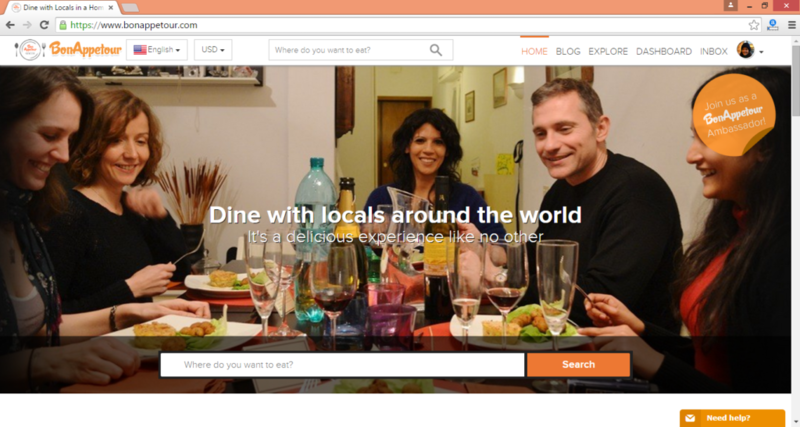 BonAppetour are the AirBnB of food. We are all about connecting travellers with locals so they can try authentic cuisine and learn how to make traditional dishes in the country they visit. It’s a great way to eat with locals at their homes! We’ve been out there to get hold of the best chefs and home-cooks in over 80 cities around the world, who are ready to welcome you to their home restaurants for a few hours of great food, amazing company and unforgettable memories. We think this is a fantastic gift idea for someone who is always traveling, or someone who has a special trip already planned. Food is so important to us and that doesn’t change when we travel. So being able to dine like the locals do, to explore the REAL local food and experience a great time with fantastic hosts is an obvious choice. If you’re a regular reader of ours you will remember we reviewed Vegan Snacks Sorted’s Hamper earlier in the year. You can read this review here. 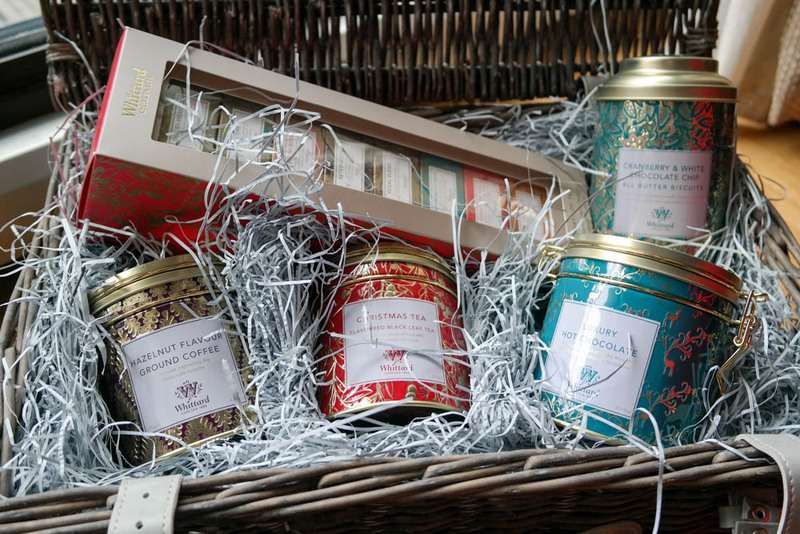 We were so pleased with the hamper, all of its contents and the amazing customer service offered by this small family run business that we had to try their special Christmas range. 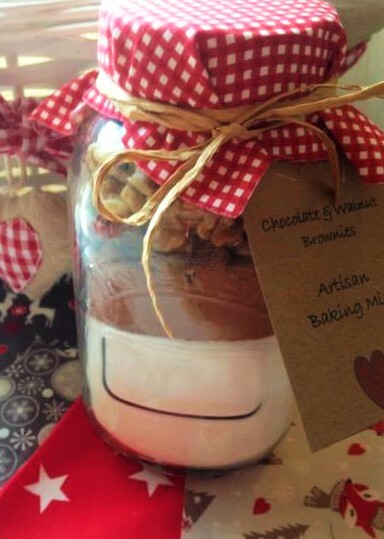 This year they have released a very special Chocolate and Walnut Brownie Baking Mix which comes in a beautiful Kilner jar. 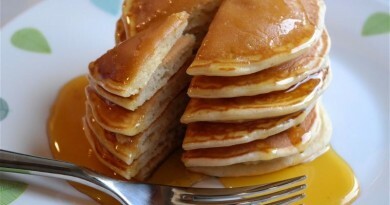 All you need is a baking pan, some water and some oil. That’s it. If you can resist making the baking mix yourself it would make the perfect Christmas Gift for any vegan friends or family. Not only does the mix make beautiful brownies but the jar which the mix comes in can be reused. We always keep any Kilner jars we come across. They make great storage containers not only in the kitchen but for crafts and other small items. Nothing is nicer than the smell of freshly baked brownies. So whether you’re buying this mix to make your friends or family brownies or buying it for them to make themselves we’re sure they’ll be absolutly delighted! Judge Cookware is part of the Horwood Homeware Ltd brand and was established in Bristol in 1896 and is still a family business priding itself on traditional values and excellence in products and services. Judge Cookware stocks a huge range of kitchenware from pots and pans to glassware. They have just launched a new Slate range which combines the wonderful textures of wood and slate together. We think nothing is nicer to display your baked creations on. With the surging popularity of afternoon tea presentation is everything. 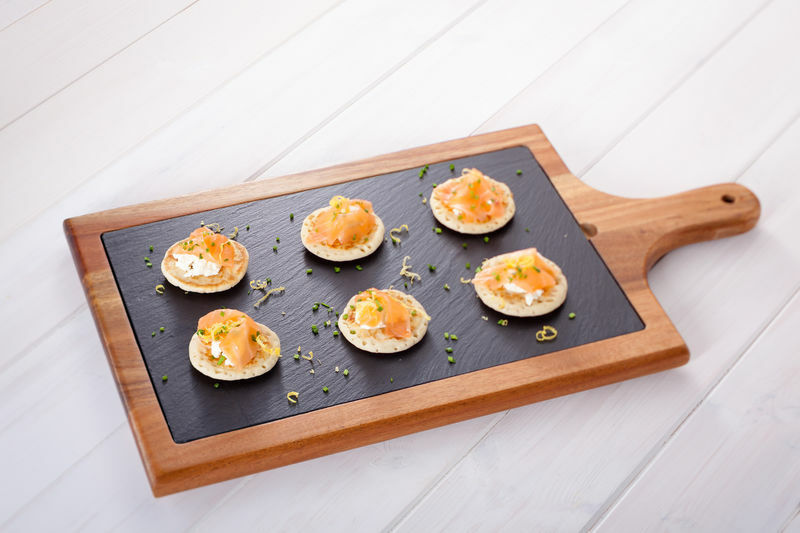 Serve your guests off one of these amazing slate creations and they can be nothing but impressed. When not in use these slate serving trays look great simply sitting in the kitchen. 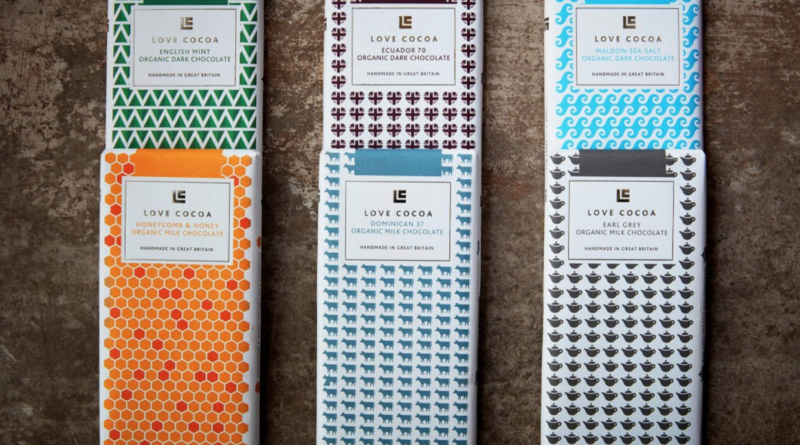 Rococo is one of our favourite British chocolate brands. Their chocolatiers are so passionate and creative that there are constantly new products appearing. One of 2016’s most exciting moments was receiving their Roald Dahl Collection. The flavours, the packaging, the excitement! You can read our review of them here. But time for something a little different for Christmas. 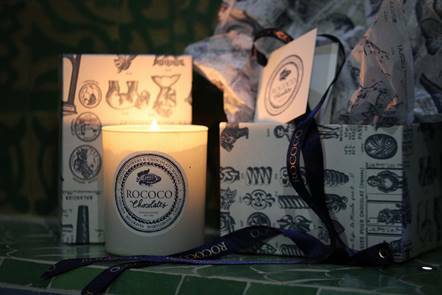 Rococo’s Home Collection launched their first ever Chocolate Scented Candle. Chantal Coady OBE, founder and creative director, likes a challenge, and this one has been on her mind for a while. To create a subtle fragrance of chocolate inspired by their exotic Madagascar 64% single estate dark chocolate which is renowned for its red berry & citrus notes. The candle offers a sophisticated luxurious experience of rich chocolate notes with nostalgic references to childhood’s comforting cocoa and warm vanilla in the base notes. The candle comes in a custom made Eau de Nil coloured glass, tissue wrapped in its own gift box. This is the perfect gift for any chocolate lover. If you’re one of our valued regular readers you will know that the city which we love only second to our own is Amsterdam. Amsterdam has had our heart since our first visit and it remains our favourite place we have ever visited. One of our favourite Dutch treats are Speculaas. These are spiced biscuits. The spice itself has a very unique flavour which is hard to find outside of the Netherlands. 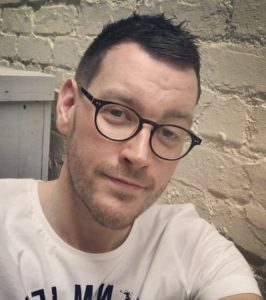 After moving to London Steven Dotsch missed the smell and taste of his grandmothers wonderful Speculaas biscuits so he set about creating a spice mix that would allow anyone to make these biscuits in their own home. The ingredients are no secret however their ratio is. That’s the secret but Steven has perfected this over many years. 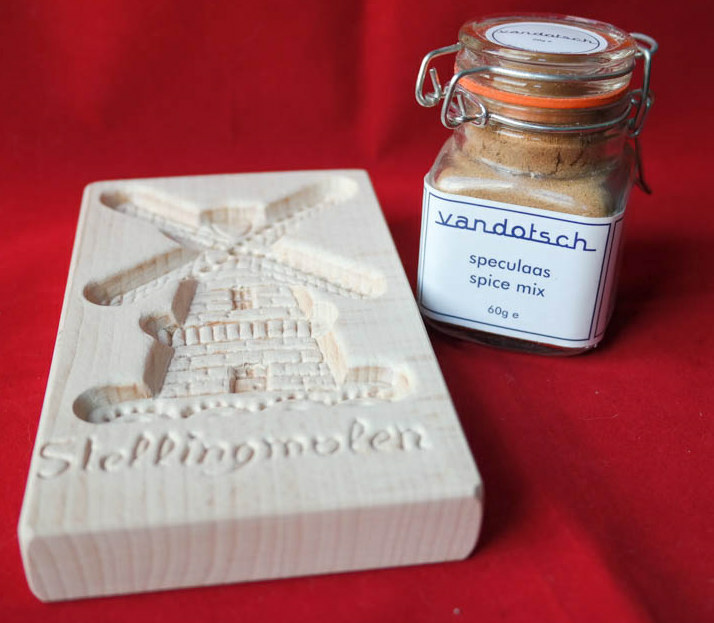 You can now buy the Speculaas Spice mix directly from The Speculass Spice Company. You can buy the spice mix in various convenient forms including these incredibly cute Kilner Jars of Speculass Spice. The Speculass Spice Company not only sells the spice mix itself but also the Traditional Wooden Moulds which are traditionally used to shape the biscuits. 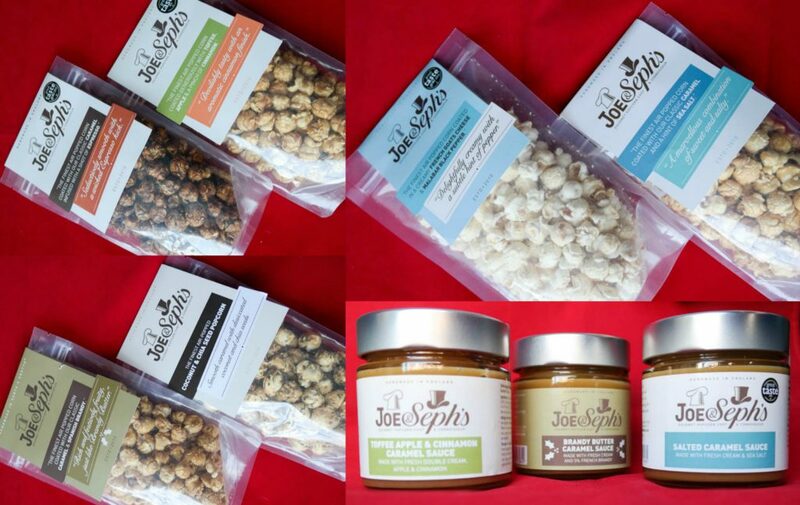 Remember the days when you only really ate popcorn and it was always the same generic bland flavour, well Joe and Seph decided to change all that and it’s been a massive success! They air-pop their corn opposed to the normal traditional British method of oil and sugar mix. 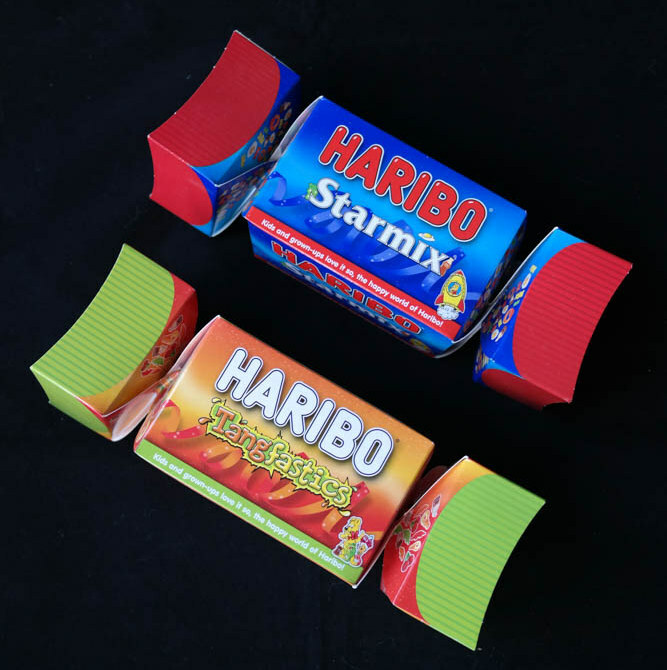 They have also developed a wide range of different flavours. 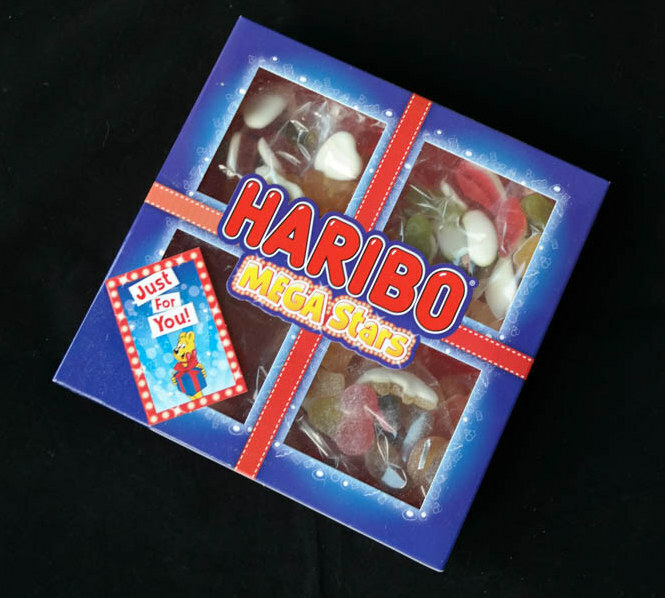 From Strawberry Cheesecake to Mince Pie they have an exciting range of mouthwatering flavours, and this year they have released some very special Christmas flavours. They continue to win Great Taste Awards one after another and there is a good reason for that. Our favourite new flavour is Coconut and Chia Seed Popcorn. You’ll also find amazing flavour combinations such as Salted Caramel Popcorn and the hugely delicious Toffee Apple Popcorn. This flavour combination is just wonderful! If you’re after something a little more savoury then why not try the Goats Cheese and Black Pepper Popcorn. We’re huge fans of any new design companies which pop up especially when they create wonderful new products. We worked with XD Design earlier in the year to bring you the competition to win one of their amazing Chef Tablet Stands to save your tablet from sticky fingers when you’re cooking in the kitchen. We’ve chosen two of our favourite products to feature in our Gift Guide. 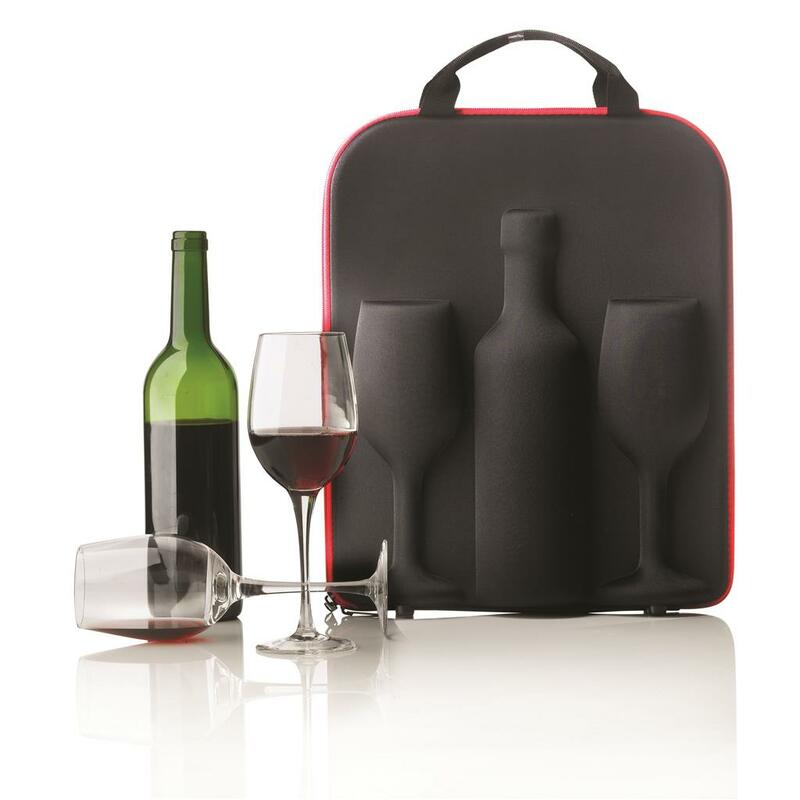 The XD Design Wine Carrier is a specially padded wine bottle carrier to ensure your favourite bottle arrives safely in its intended destination. Not only does the carrier hold the bottle itself but also two glasses. This is one of the most perfect picnic or house party accessories we’ve seen. Don’t settle for horrible plastic wine glasses anymore. Feel confident in bringing your real glasses with this carrier. 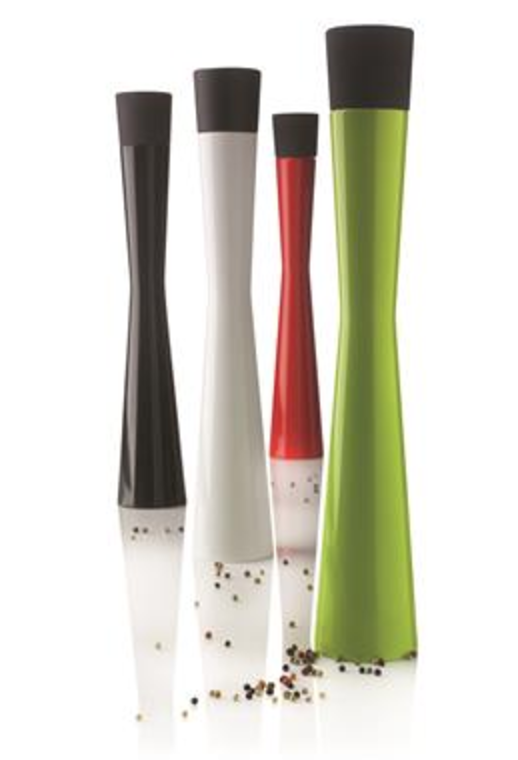 We also absolutely love the Lime Green Tower Pepper Mill which XD Design have released. This pepper mill is huge and a statement piece for any kitchen or dining table. I far prefer larger pepper mills to smaller ones. This pepper mill is extremely well designed as are all their products. Complete with ceramic grinders and a rubber finished top for added grip. We teamed up with Yolli earlier in the year to bring you a competition for their Cupcake Ferris Wheel. Their main product is accessories for baking. One of our favourites is their huge range of Cake Pop accessories. We’ve all been there when we see an amazing recipe online but don’t have the first clue where to look for all the wonderful decorations they use. Cake Pops can often create this frustration but Yolli have got you covered, literally. You can find a huge range of colours of Candy Melts which are recommended for covering your cake pops. These give a lovely smooth surface to decorate and dry quickly. A huge range of sprinkles for decorating including these brightly coloured Sugar Strands. Also not forgetting the cake pop sticks themselves. Don’t settle for plain old wooden or white plastic ones. Yolli has all the colours you could want. You buy a Mixed Coloured Lollipop pack. Want more gift ideas? See more here. It’s not often that we incorporate alcohol into our cupcake recipes. But one of our favourite tipples lately is Tequila Rose. This drink has such a wonderful strawberry cream flavour, it reminds us of strawberry cream chocolates which you find in Quality Street chocolates. Always the first ones to disappear in our house, nothing to do with me of course. 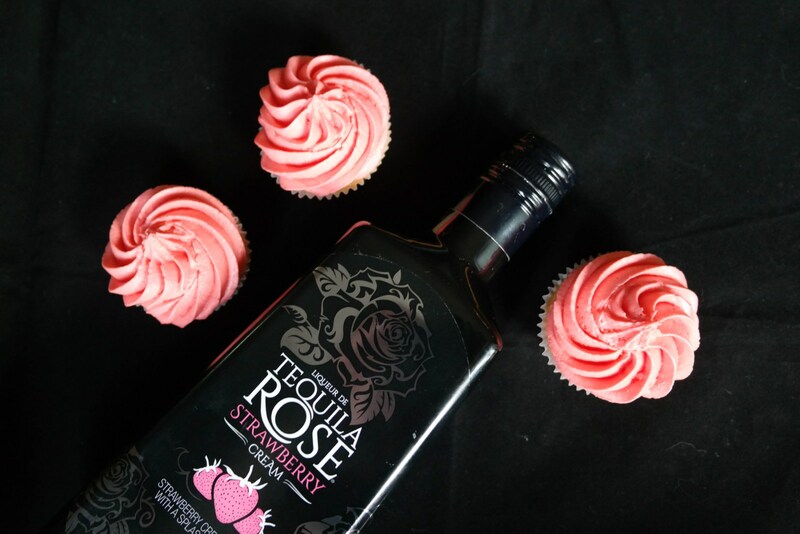 Earlier this year we wrote a very special recipe for Tequila Rose Cupcakes which have been extremely popular. Whether you want to use the Tequila Rose for a recipe or simply enjoy it responsibly with friends we think this is a great gift for Christmas this year. The bottle is also a wonderful presentation piece which makes the gift that little bit better. We love companies who have long, established and illustrious histories and Bettys is one of those companies. There is a lot of history behind the business and even a little mystery around where the name Betty actually came from! Its far too much to explain here so grab a tea or coffee and pop over to Bettys website to read ‘The Bettys Story’ about where this fabulous company came from here. Bettys always produce wonderful seasonal ranges and this Christmas they have not failed to impress. 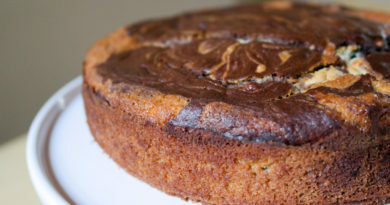 We’ll start with the obvious, The classic Christmas Cake. 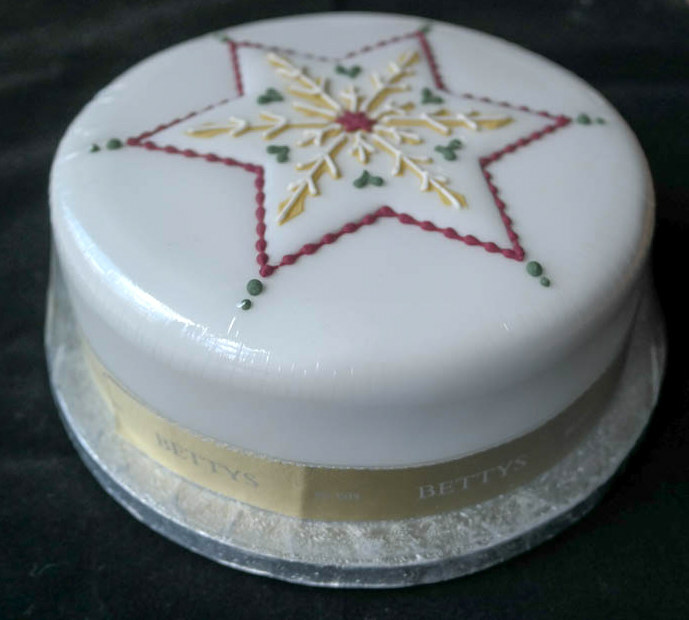 Betty’s have created this wonderful Soft Iced Star Christmas Cake which is a centrepiece to any Christmas table. This soft iced Christmas cake, with marzipan layer, features an intricate star design in gold, green and burgundy, delicately finished with hand-piped white Royal icing. No Christmas Dinner is complete without a Christmas Pudding in my opinion. Betty’s have one of the best around. The Large Classic Christmas Pudding is exactly as the name suggests. Made with the finest ingredients starting with plump, juicy fruits – golden glacé cherries, citrus peel and vine fruits – as well as flaked almonds and mixed spices, all soaked overnight in brandy and Yorkshire ale. 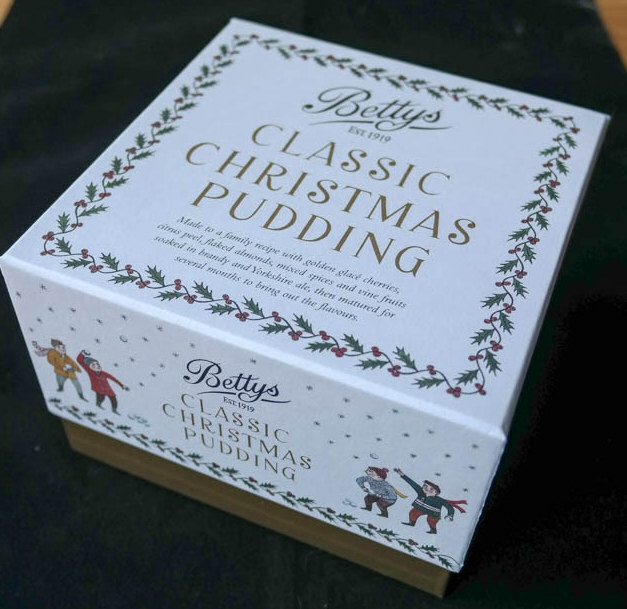 After being steamed the old-fashioned way, Betty’s puddings are then left to mature for several months, allowing those sumptuous flavours to develop fully in time for Christmas. Presented in a box exclusively illustrated for Bettys by Yorkshire artist, Emily Sutton. We’re huge fans of personalised gifts. Especially when it is more personalised than just adding a name on something. 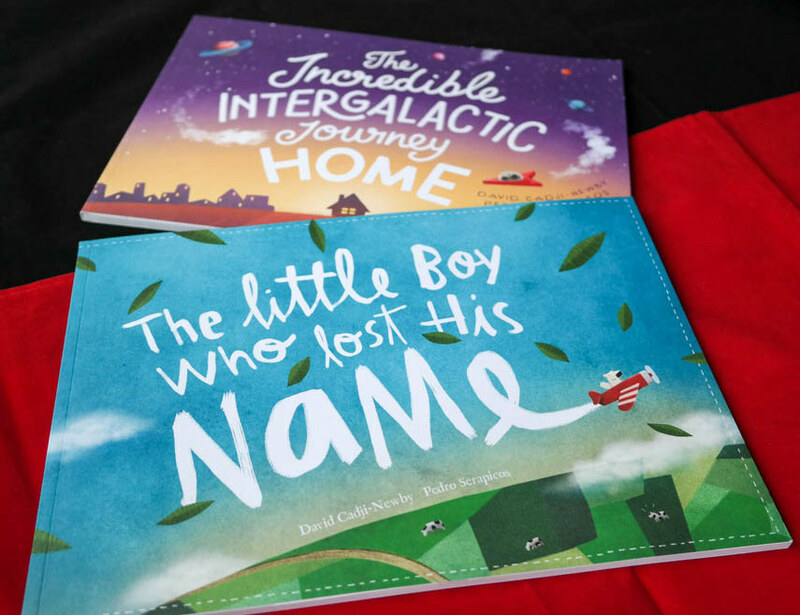 Earlier this year we came across LostMyName who offer a few personalised children’s books and posters. We needed to order some gifts for a new little man in our family so this discovery came at the perfect time. The first book we ordered is called Lost My Name and was the companies first book. So the objective of this book is to teach the child their own name in the form of a journey in which they meet various animals along the way. These animals all represent different letters of their names. The most amazing thing about these books is the amount of personalisation. For most letters of names you can choose between several different animals, the child will be called by their name throughout the book and you can choose the looks of the child shown in the book. Amazing right! The second book we ordered is more amazing and blew us away. This book is called the Incredible Intergalactic Journey Home Book. This book aims at showing the child where they are from, where their home is. So this book not only involves personalisation of their name and appearance but also amazingly their location of their home! 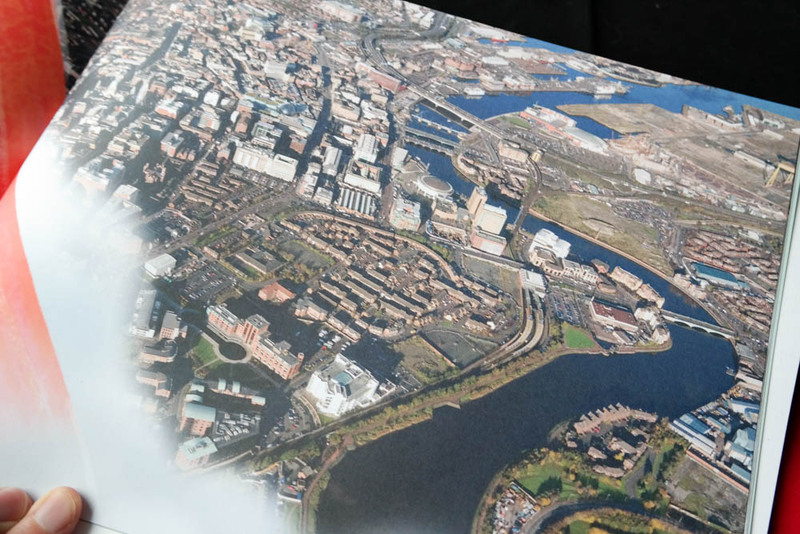 The book takes them through a journey from space, to their city and finally to a satellite image of their actual street. Amazing! Also on offer is the Personalised Alphabet Poster which is another great learning tool for your child. Formahouse prides itself on being an inspiration for your home. Once you start browsing their website you will see why. Their website is packed full of designer kitchenware and accessories at good prices. They work with some of the worlds leading kitchenware brands including Eva Solo, QDO, Capventure to name just a few. The item which we have fallen in love with, the brand in fact is Eva Solo. Their design, especially their glassware items are so finely designed and engineered they are both a pleasure to look at and to use. The Eva Solo Fridge Carafe is something that we use every single day in order to try and up our water intake. 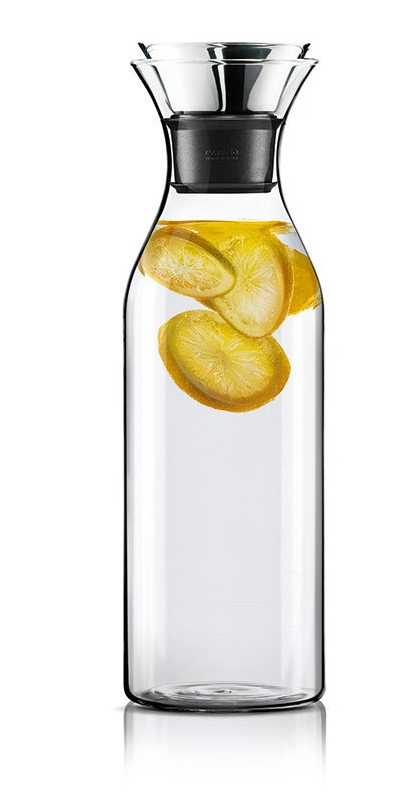 By having water in a carafe close at hand really helps in making us more likely to drink more water. The Eva Solo Fridge Carafe is so finely designed that everyone comments on it. There are some versions of the carafe which come complete with an insulating cover, which is essentially a jacket for the carafe. Adding a splash of colour and further great design. We just love the Eva Solo range and would encourage you to consider it for any Christmas gifts you have in mind this year. 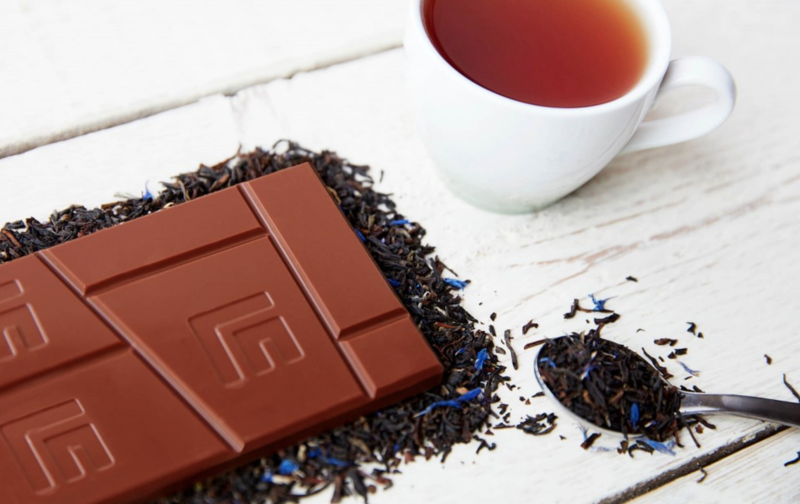 We love Whittard of Chelsea’s illustrious and long history as one of the most prestigious suppliers of tea and coffee products. One of the things that Whittard has become iconic for are their hampers. Available in beautiful wicker baskets these hampers are an absolute joy to receive. You can build you own so your recipient can be guaranteed to receive exactly what they like. We’ll start with our absolute favourite, A Feast of Teas. This is a box of 8 of Whittard’s favourite teas. Inside each box you will find 5 individually wrapped teabags. Some of the flavours include Christmas Tea and Marrakech Mint. There’s something for everyone. Christmas Tea is a big favourite this year, so much so they have released it as a product itself. These beautiful clip top tins form part of the design which Whittard has become famous. Also available in individual tins are Hazelnut Flavour Ground Coffee and Luxury Hot Chocolate. All an absolute treat. Add some marshmallows to the Luxury Hot Chocolate for the ultimate Christmas Eve indulgent drink. No cup of tea or coffee is complete without a sweet treat. 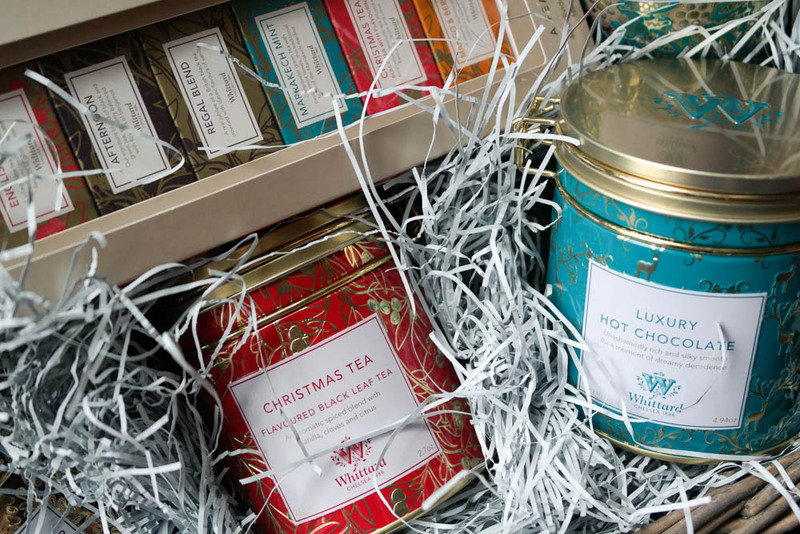 Whittard have a selection of gorgeous tins packed with treats. We chose the Cranberry and White Chocolate All Butter Biscuits. We both have an iPad and they are constantly in use. We’re always on the move and our iPad’s are nearly always with us. This can lead to accidents. Even when there isn’t an accident it often makes you anxious taking your iPad out of the safety of your home into the big wide world. Have you got a son or daughter who has just gone to university with a new iPad? Slightly clumsy yourself? Or simply work in a rough and tumble job? We think we’ve found the solution for you. Peli have two great iPad covers which act as all round protection. The Peli Voyager which includes 1.2m drop protection, Built-in kickstand, Dual layer lining, Non-slip grip, Shock absorbing liner. 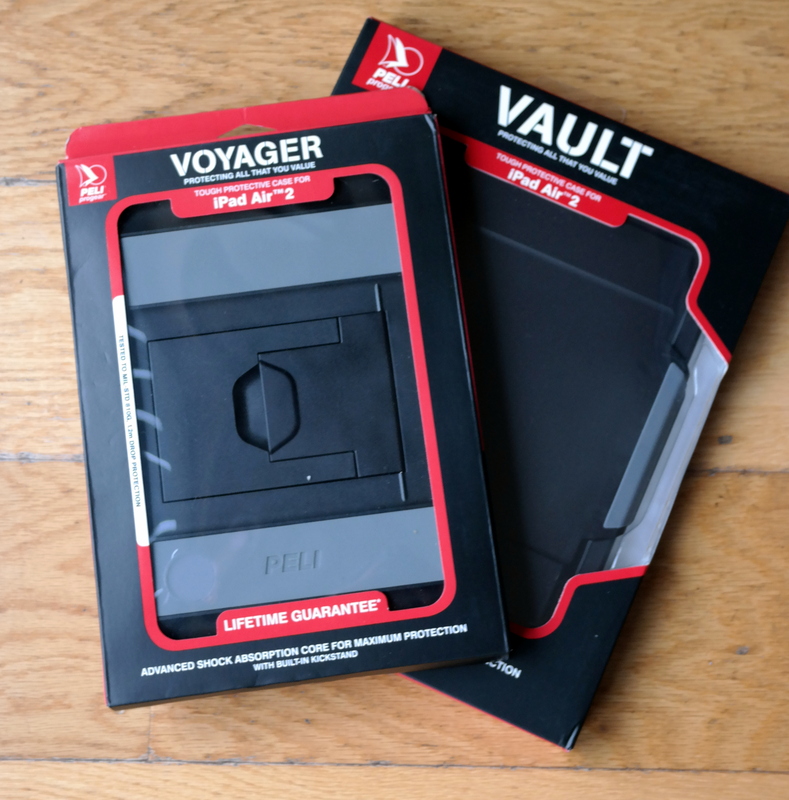 The Peli Vault offers even more protection in the form of a screen protector cover which closes securely over the screen. Peli offers lifetime guarantee with these cases. You break it, they’ll replace it, forever. They’re that confident in the quality of their product. You spend hundreds of pounds on an iPad it deserves to be protected in those dangerous situations. When we heard about the Magic Door Store we got very excited. Who doesn’t want a magic door right?! These doors are a little different though. They’re not for us, they’re to provide an entrance and exit for fairies and elves into our homes. Or into our children’s bedrooms to be more exact. 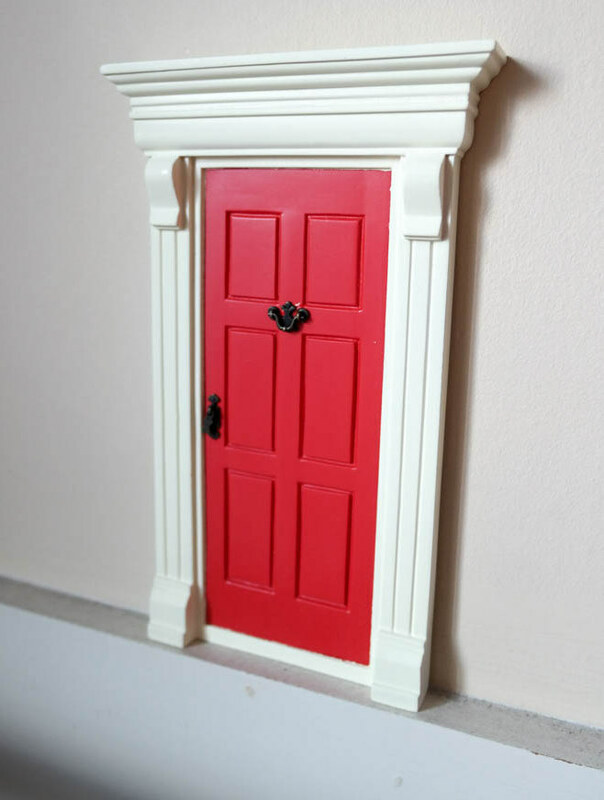 The Magic Door Store stocks a huge range of highly realistic doors in both the Fairy Door and Elf Door varieties. The doors simply attach to the skirting board or above the skirting board of your home and create a magical doorway into your home. With realistic fully moving door knocker and door handle the doors are incredibly well made. There is a selection of accessories available too including a mini stepladder, a mini postbox and even a mini Christmas wreath to attach to the door. 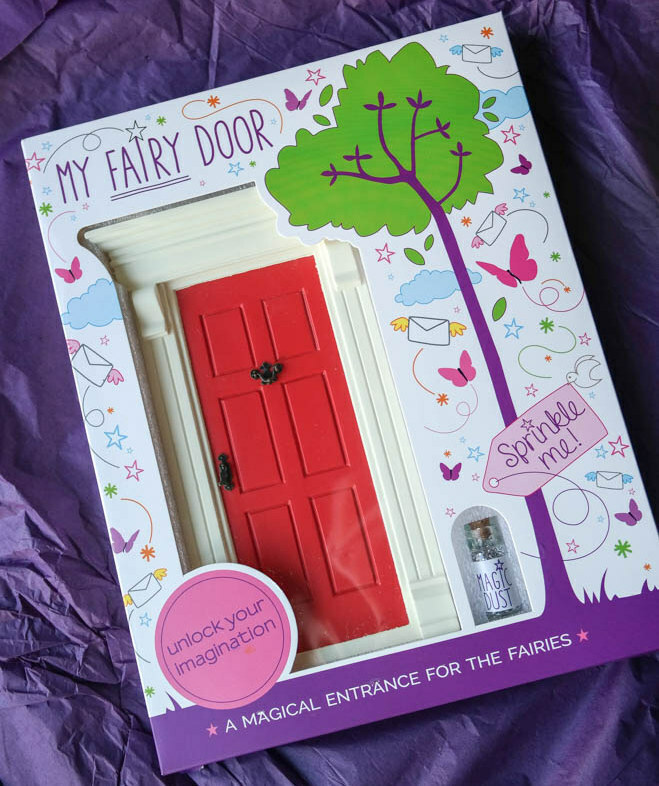 Each door comes complete with some fairy or elf dust to tempt the little creatures out of the door at night. The Magic Door Store has to advise however that fairies and elves do not like visiting messy childrens bedrooms. You can also purchase a pack of Magic Mail which allows your children to write notes to their elves or fairies. This is the first time we have included pet gifts in our Christmas Gift Guide. But it’s important no one in our lives are left out, even our pets. Our regular readers will be very familiar with our beautiful cat Cleo, who insists on photobombing random product shows as she sees fit. She has a fine taste in what she likes and doesn’t like. What we feed Cleo is very important to us. We discovered Lily’s Kitchen earlier in the year. Lily’s Kitchen uses high quality natural ingredients. So you know only the best food is being given to your pets. There are so many skin conditions and sickness caused to pets just because they are on the wrong food. When you read some of the reviews from Lily’s Kitchen’s customers its insane at how a change in food can completely transform a dog or cats life. Offering food for both Cats and Dogs (and Kittens and Puppys!) 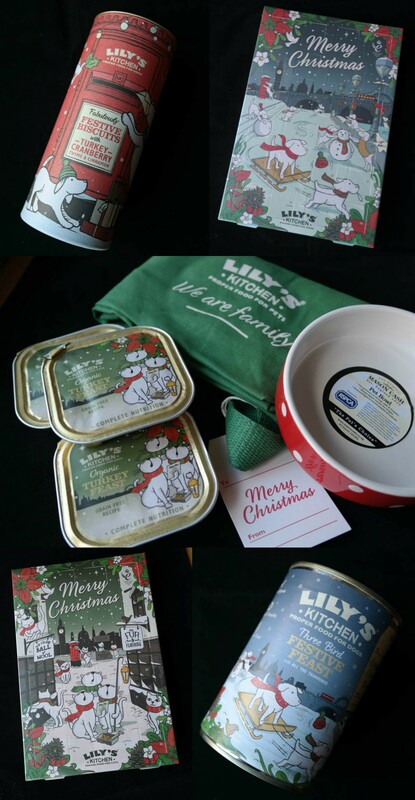 Lily’s released a Christmas range. Included this year for Cats is the wonderful Classic Christmas Bag for Cats which includes 1 x Lily’s Kitchen Advent Calendar for Cats, 3 x Organic Christmas Turkey Feast for Cats 85g tray, 1 x Fabulously Festive Christmas Treats for Cats 50g, 1 x 12cm polka dot ceramic cat bowl from Mason Cash all included in a beautiful cat tote bag. Some special Christmas items for dogs include the Advent Calendar for Dogs, the Three Bird Festive Feast for Dogs and finishing off with the Fabulously Festive Biscuits for Dogs. It was in 1824 that John Cadbury set up a tea dealer and coffee roaster in Birmingham. One of the luxury items they sold was drinking chocolate. His sons, Richard & George, took over the ailing business in 1860 and made a big break through in 1866 when buying a machine from the Netherlands, that would refine the cocoa to an essence ending the need to add starch and nasty chemicals to the chocolate. The Great Great Grandson of these amazing men has now set out himself to create some of Britain’s best chocolate. We’re extremely excited by this and honoured to get a chance to try some of these new creations. This Christmas James Cadbury has launched British Icons Chocolate Collection which is a great selection of some British themed chocolate bars. 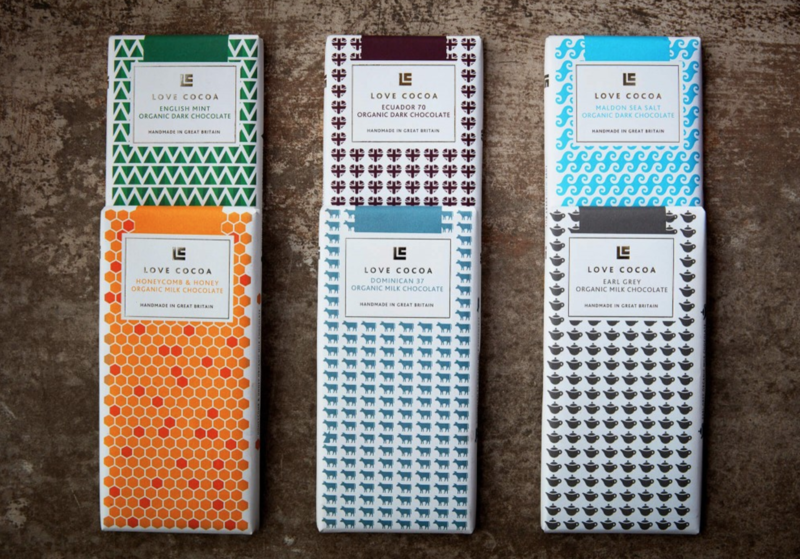 These include Milk Chocolate Dominican Republic 37, Honey & Honeycomb, Earl Grey, Ecuador 70, English Mint and Maldon Sea Salt. What a selection! Not only amazing at making chocolate, James also knows the importance of great packaging. We love the design of every one of these bars. Packaging really makes a product pop and gets you excited as you open the bar, before you even taste it. Think that Willy Wonka Ticket moment. James is a new chocolatier to watch!